SCOTT H. MICHAUD was born in Danvers, Massachusetts. The child of a military family, he lived all over the United States and in Europe before his family settled in Florida in 1969. After completing his public school education in the Orlando area, Mr. Michaud received his Bachelor's Degree from the University of Central Florida in 1977 and his J.D. in 1980 from the University of Florida. Admitted to the Florida bar in 1980, he has also been admitted to the United States District Courts, Middle and Southern Districts of Florida and Western District of Texas, the United States Court of Appeals, Eleventh Circuit and United State Supreme Court. Mr. Michaud began his legal career as a trial lawyer for the State Attorney's office for the Ninth Judicial Circuit of Florida, where he handled over forty jury trials and in excess of two hundred bench trials. After a brief tenure as an associate with a plaintiff's personal injury firm, he joined the insurance and malpractice defense firm of Parker, Johnson, Owen & McGuire and became a partner in that firm in 1985. He opened and served as the Managing Partner of the firm's South Florida office in Boca Raton from 1987 until June of 1993, when he founded the firm known as Michaud, Mittelmark, Marowitz & Asrani, P.A. Because of his extensive experience trying malpractice, insurance coverage cases and general liability cases, Mr. Michaud is a frequent author and lecturer to physicians, attorneys, insurance claims people, risk managers and other professionals. He has lectured and published on a wide variety of topics related to his expertise, has contributed to two books on the subject of malpractice litigation, written for the Florida Bar Journal and authored and taught a 10 hour CME course entitled Medical Malpractice: A Survival Guide. His professional memberships include the American Bar Association (Sections on Litigation; Torts and Insurance Practice); the American Board of Trial Advocates (ABOTA), the Trial Lawyers Section of the Florida Bar; the Palm Beach County Bar Associations, the Defense Research Institute, the Florida Defense Lawyers Association and the Florida Medical Malpractice Claims Council. 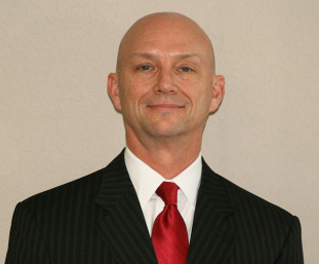 Mr. Michaud is Board Certified as a Civil Trial Lawyer by the Florida Bar Board of Legal Specialization. He enjoys an AV rating from Martindale-Hubbell and for a number of years has been selected by his peers for inclusion in South Florida Legal Guide's Top Lawyers, in Florida Super Lawyers and in America's Leading Attorneys. Mr. Michaud resides in Boca Raton with his wife, Debra, who has worked extensively as a Practice Management Consultant for legal and medical practices throughout South Florida. Believing strongly that professionals should give something back to the communities which support them, the Michauds are both active in civic, charitable, religious and educational organizations, including service on multiple executive and advisory boards.